Water firm will have to pay $286,649 for permit application consideration. SAN LUIS OBISPO — Plans to build a desalination plant in Huntington Beach continue along its salty path as the California Coastal Commission rejected Poseidon Water’s request for a fee waiver. Poseidon hoped to avoid paying a $286,649 fee for its Coastal Development Permit (CDP) application. Company officials argued its request for fee waiver should have been approved because of the amount of time already put into project deliberations and its most recent application was withdrawn at the request of Coastal Commission staff. The commission did not heed Poseidon’s request, unanimously rejecting the fee waiver applications at its Jan. 13 meeting in San Luis Obispo. A Poseidon representative told commissioners the company did not anticipate making any substantive changes to its application. Coastal Commission staff and members challenged Poseidon’s position, stating the water company was responsible for delays and the permit application fee was necessary to compensate for the amount of work still required in deliberating the future of desalination in Huntington Beach. 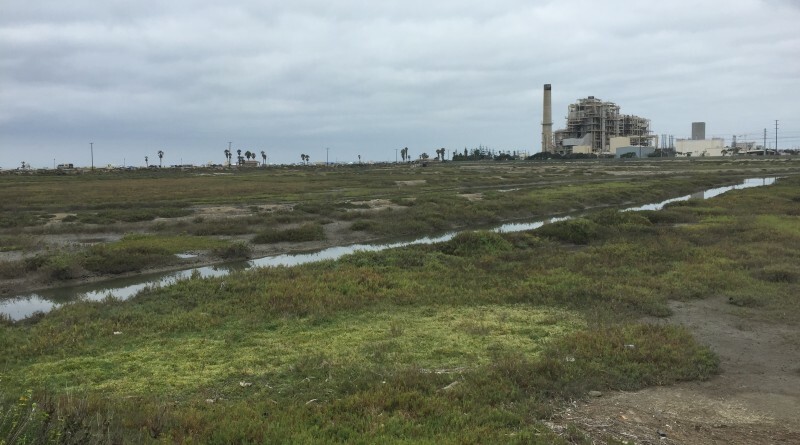 For example the desalination proposal would go through at least one or two CEQA reviews and potentially endure substantial changes, according to Coastal Commission staff. Most commissioners agreed the staff time already put into reviewing Poseidon’s desalination plant plans justifies a fee payment. Commissioner Steve Kinsey said while Poseidon is not entirely responsible for a confused process there is still too much work to be done to warrant a fee waiver. Meanwhile Commissioner Mary Shallenberger said the issue at hand is not at all complicated. The request for fee waiver dates back to September 2015, when Poseidon submitted a CDP application and $280,324 fee despite a Coastal Commission recommendation the water company fund a review of alternative sites for a desalination plant. Coastal Commission staff determined additional information was needed. About six months later Poseidon indicated it had sufficient material available to move forward with the CDP application, spurring a 180-day timeline that would expire in September 2016. “Staff immediately contacted Poseidon and suggested that it may want to consider keeping their pending CDP application incomplete to allow for the board’s review of the project under the new Desalination Amendment to be completed prior to the commission taking action, which staff anticipated could take longer than six months,” Coastal Commission staff stated in its report to commissioners. “Staff’s concern was that the commission would be required to act on Poseidon’s proposed project before the board had made its determination as to whether the proposal represented the ‘best available site, design, technology, and mitigation measures feasible’ to avoid and minimize adverse effects on marine life,” Coastal Commission staff continued. Coastal Commission staff urged Poseidon to withdraw its CDP application in August 2016, according to the report to commissioners. The CDP application was withdrawn in October 2016. The commission still continued its review of Poseidon’s plans, however. A few weeks after Poseidon withdrew its CDP application the company was informed all the information it provided to date was incomplete. Poseidon representatives told the Coastal Commission its pending CDP application was actually deemed complete in April 2016. At least one commissioner – Martha McClure – pointed out both Poseidon and the Coastal Commission stubbed their toes along the way, giving some legitimacy to a fee waiver request. Steve Ray of Banning Ranch Conservancy, who interacted with the Poseidon desalination project during his days as a Huntington Beach planning commissioner, believed the company’s fee waiver request was disingenuous. “Your staff goes the extra mile to be fair. It’s painfully aware here … the staff gave [Poseidon] fair warning of what they need to do. Poseidon decided … they don’t have to listen to anybody,” Ray told commissioners. Coastal Commission staff added Poseidon is mostly to blame for the delays in the project review process. “Much of Poseidon’s lengthy permit and review history results from Poseidon’s proposed site and design. Poseidon’s selected site is subject to several significant coastal and seismic hazards, while its proposed facility design and seawater intake volume of 106 million gallons per day would cause significant adverse effects on marine life due to its proposed use of an open water intake that is currently used by the Huntington Beach Power Plant but is to be retired soon,” Coastal Commission staff stated in a report to commissioners.